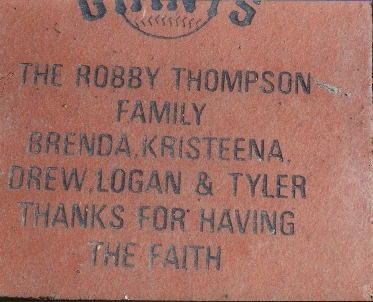 There are many personalized bricks in Willie Mays Plaza. The one pictured below is that of Robby Thompson and his family. As you know, Robby is a former 2nd baseman and current 1st base coach.